Welcome to Naya Pakistan – just like the Purana Pakistan. Even as many Pakistanis were going into raptures lauding the very tough line taken by the prime minister of Naya (new) Pakistan against the clerics who had virtually declared rebellion against the Islamic State of Pakistan, ministers of the federal and provincial government were engaged in negotiating an instrument of surrender with the marauding mullahs. 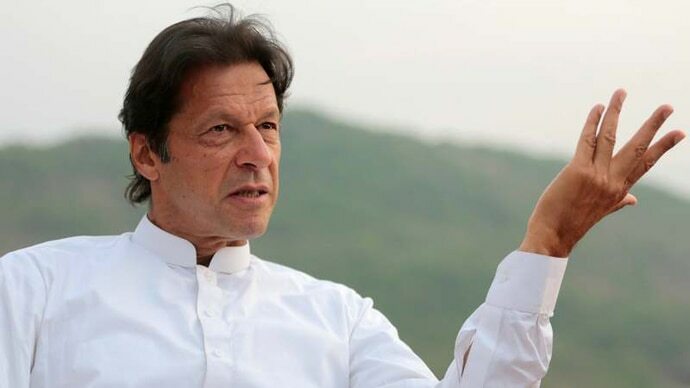 The abject capitulation before the clerics by the government of Naya Pakistan not only revealed the disarray within the government with different ministers taking different positions – some blowing hot, others giving a disingenuous spin to project their wimping out as a victory – but also the complete collapse of administration in the face of the rampaging mullahs. Clearly, in terms of the dystopian dysfunctionality of the state, Naya Pakistan is quite like the Purana Pakistan. This wasn’t the first time that the government of Pakistan has thrown in the towel in front of the Tehrik-e-Labbaik Pakistan (TLP), and it probably won’t be the last time. Around the same time last year, the TLP, after a three-week long dharna forced the government of Purana Pakistan led by Nawaz Sharif’s Pakistan Muslim League to agree to a humiliating surrender. But back then, the government’s hands were tied. In a recent interview, the then Prime Minister, Shahid Khaqan Abbasi, revealed that the PMLN government had no option but to agree to the terms dictated by the TLP. The army had refused to act, the paramilitary Rangers which is an auxiliary of the army didn’t support the government, the police was so demoralised that it refused to move against the protestors and the judiciary had passed an order to clear the dharna but without using force. Back then, the TLP agitation was seen as part of the sinister plan of the "deep state" to box in the PMLN and give the ladla (favourite) Imran Khan a leg up. But this time, it is the ladla who is in charge, and yet the entire state machinery was cowering in fear before the TLP which was practically holding the entire country hostage. The contemptible fearfulness on display by the much vaunted "institutions" – judiciary, army and even the civilian government – before the clerics stood in stark contrast to their enthusiastic bullying, bulldozing and bludgeoning any and every voice of dissent in the media, civil society or even politics. 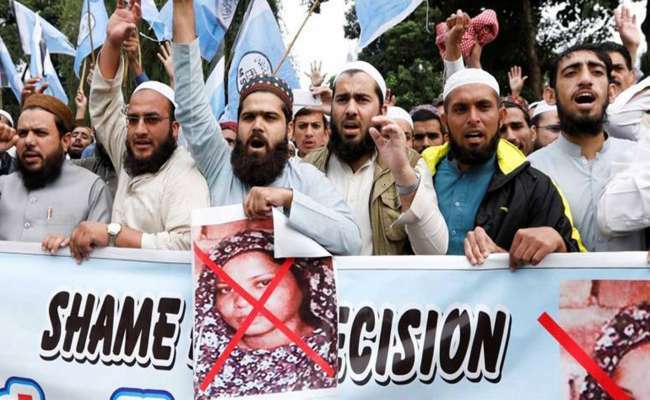 The TLP leaders have openly called for the murder of the Supreme Court judges who acquitted the Christian woman accused of blasphemy. They exhorted the cooks and drivers of these judges to murder them and earn a place in heaven. They have labelled a sitting army chief as a non-Muslim – Ahmadiyya – and called upon the rank and file of the army to revolt against the top brass. The Prime Minister and his entire government has been called a non-Muslim government which needs to be overthrown. And what is the response? Deafening silence. The judges who are quick to book politicians, journalists and civil society activists on charges of contempt, destroy careers and incarcerate people for contempt, are offering mealy-mouthed justifications for their judgment. No notice of contempt has been issued to the clerics who have openly abused the judges even in the past. It is almost as if they are terrified by the very idea of hauling up the mullahs. Compare this pusillanimity to the very same judges hauling up former Prime Ministers, cabinet ministers and other senior politicians for merely passing a remark against palpably bad in law judgments or for giving an interview in which they criticise the "deep state’s" involvement with international terrorists. Consider also the fact that these same judges recently sacked a high court judge for exposing the interference of ISI in judicial matters, in intimidating and influence judges to give favourable judgments, but have refused to take notice against the hate-mongering and openly seditious remarks of the Mullahs. But forget the judges. 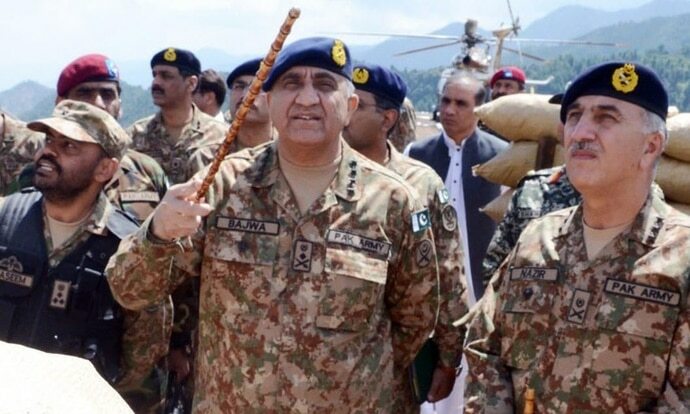 The Pakistan military which is quick to take offence to an innocuous newspaper article and is ready to destabilise a sitting government, which gets people to file treason cases against politicians who state facts that the army has only lost territory but politicians have gained territory, is totally silent, nay paralysed, in the face of open sedition by the clerics. The Pakistan military spokesman had once declared: silence is also an expression. In the current case, the silence is nothing if not an expression of fear, dread and perhaps complicity. Why else would the Army which doesn’t bat an eyelid before using overwhelming force against anti-state elements, kidnaps and tortures activists who expose its shenanigans, conducts scorched earth operations against its own compatriots, and keeps reconquering its own country every other day, be so sensitive and cautious in acting against these mullahs? The government meanwhile is doing what it has become famous for – taking one U-turn after another, speaking in different voices, and pretending that it has successfully handled the situation when by all accounts the government was nowhere to be seen when the mobs were running amok. After Imran Khan’s blusterous speech warning the TLP to not clash with the state, the government first negotiated a deal with the clerics. But the blistering criticism that followed forced the government of Naya Pakistan to make another U-turn. In the last couple of days, it has made a big show of registering cases and apprehending people involved in mob violence. But this is an eyewash of an action because not a single case has been filed, much less action taken, against the top leadership of TLP. The calculation clearly is that within a few days other events will push this issue in the background. But this is all so Purana Pakistan. The withering away of the state in the face of the gauntlet thrown by the clerics is something that is only to be expected given the way the forces of fanaticism have been cultivated so assiduously by virtually everyone in Pakistan. But there is also poetic justice in the way Imran Khan has been hoist on his own petard. In a classic case of what goes around, comes around, Imran Khan is confronted with tactics that he used to bring his political opponents under siege. The abuses being hurled, the shutdowns being forced, the violence being unleashed, the passions being incited by the TLP are all things that Imran and his Pakistan Tehrik-e-Insaaf (PTI) had done while in opposition. As a perceptive commentator in Pakistan observed: TLP is the PTI of the poor. In fact, the PTI unabashedly exploited the entire blasphemy issue against Nawaz Sharif in the run-up to the general elections. PTI candidates (some of whom are ministers in the government) openly called for the Christian woman’s execution. But apart from making common cause with the TLP, the PTI, and indeed the army and judiciary, are also terrified by the prospect of using force against the clerics. The specter of Lal Masjid crisis hangs over any decision to crackdown on the Mullahs. There is a touching belief that appeasing the fanatics will defuse the crisis. But what it is doing is actually empowering the fanatics. The TLP, which is just a couple of years old, has had a Phoenix-like rise and emerged as the largest religious party in Pakistan. In Punjab, it is the third largest party, and nationally the fourth largest party. But more than its growing support base, it is the fanaticism of its followers that is scary. TLP doesn’t have an armed wing, nor does it impart terrorist training to its followers. And yet, its ability to inflict violence and launch ‘lone wolf attacks’ – the exhortation to cooks and drivers of judges is very similar to the ISIS calling upon its followers to use whatever they can as a weapon and attack and kill wherever they can – has already been proved when the former interior minister Ahsan Iqbal was shot and injured. The TLP has clearly emerged as a major force in Pakistan politics. Every surrender before it has only added to its strength and made it more unrestrained in pushing the envelope and testing the boundaries of restraint of the state. This is not a sustainable situation for any length of time. Sooner or later something will give. Either the state will simply roll over and play dead, or it will have to hit back hard and crush the TLP. In either case, it will unleash a new wave of violence. There is also a possibility that the Pakistan army will use its old playbook to raise another Khadim Rizvi to counter the TLP Khadim Rizvi. But this too will have its repercussions because invariably, the new Khadim Rizvi will be even more vicious and vituperative than the Khadim Rizvi he seeks to displace. Welcome to Naya Pakistan, just like the Purana Pakistan.